What does it mean to “love the Lord our God with all our minds”? 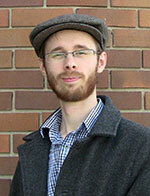 That’s the question that sits behind the most recent (July/August 2012) issue of The Canadian Lutheran. 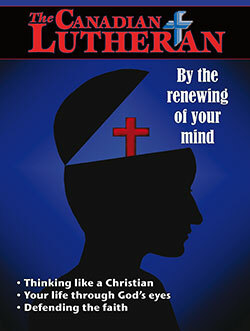 This issue features articles on being thinking Christians, on the spirituality of ordinary life, and on apologetics. As usual, I try to set the stage for the issue in my Table Talk column. As we seek a deeper knowledge of Him, we will find that the false teachers of this world become less appealing: we will learn to “discern good from evil,” as the Holy Spirit renews our minds. Then the central tenet of our faith will rise up in our mind’s eye: a cross standing high on a hill above every lie. We will learn to see the world with Christ as its focus, with Christ as the Answer to its every question, and with Christ as the only Salvation for its sin-stained brokenness. We shall see Truth. And the Truth shall set us free. Check out the article here. Or, if you’d rather read the whole issue, download the July/August issue pdf here. In other news, a certain fiancée of mine worked on the cover art for this one. Chances are she’ll read this: so let me say this: I love you, dear heart, and I thank you for the help you give me on many things, including the art work and column-refinement you helped me with on this issue. But mostly, just thank you for you. Once upon a time I learned the names of the planets. All nine of them. But then Pluto was downgraded from planet to dwarf-planet status. I’d be okay with that decision if it meant Pluto was now populated with Gimli, Nikabrik, and other dwarfs of literary fame. But it doesn’t. 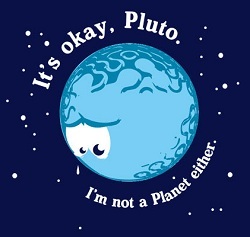 It just means Pluto isn’t a planet anymore. I miss Pluto. After all, I learned my planets with the mnemonic “My Very Energetic Mother Just Served Us Nine Pizzas.” But now that Pluto’s not a planet, the sentence is left hanging: she “served us nine.” But nine what? Nine what?!?!? I have to know! 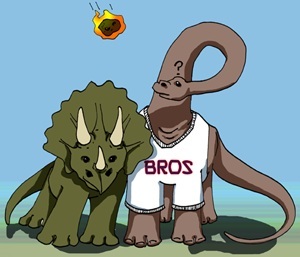 Even if the existence of triceratops is vindicated in the end (which, it appears, will be the case), chances are it didn’t look quite the way I learned anyhow. Try imagining it with feathers. Now do the same with your other favourite dinosaurs (like T-Rex). Yes, the feathered look is apparently more accurate than the old lizard skin I grew up seeing in textbooks, books, and movies. Instead of “thunder lizards,” think more along the lines of Big Bird. But even while my school-age science education continues to be dismantled, at least one thing I learned as a kid seems to be true – though, admittedly, I learned it from a Star Trek movie and not science class. NASA’s Voyager program really does leave our Solar System to continue its merry way into interstellar space; Voyager 1 is expected to pass through the heliosphere any day (or year) now. Still, no word yet on whether it will be intercepted by aliens, achieve consciousness, and come back our way in a V’Ger-seeking-the-Creator story line with catastrophic results for earth. But if it does, I promise to write about it. I might not write about science on this blog all that much (since I’m only an amateur science-geek). But science fiction meeting theology? That’s definitely my domain. Images and video used for illustrative purposes. 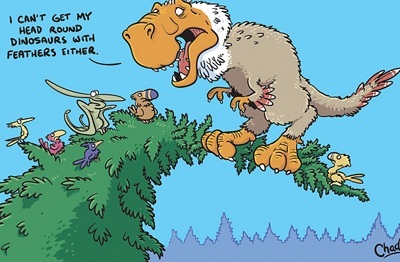 Clicking images will take you to their respective creators (the first and second are available as merchandise, the third a cartoon by Simon Chadwick). Captain Thin is powered by	WordPress 5.0.4 and delivered to you in 0.408 seconds using 33 queries.